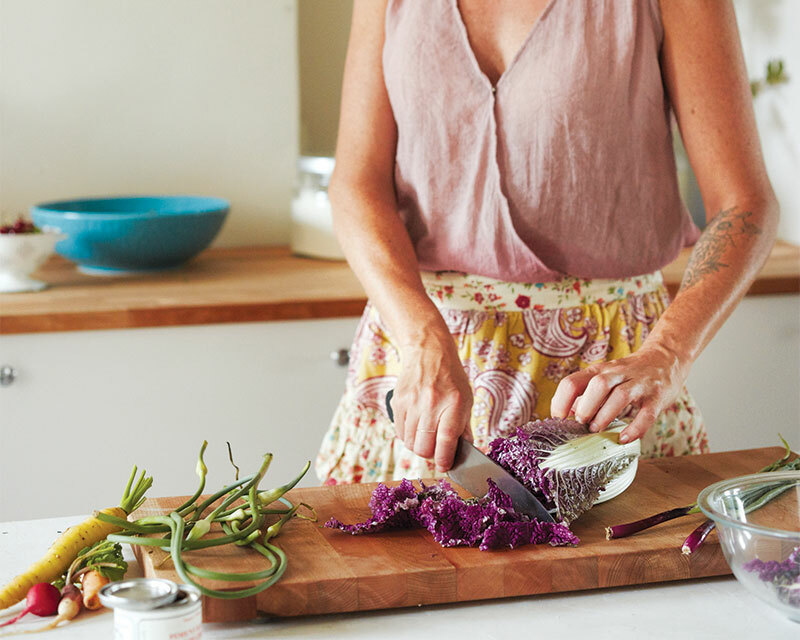 Capture the best of summer’s produce with a little help from Sarah Owens, gardening guru and author of Toast & Jam. Find recipes from Sarah in our July/August issue and online, here. Long before she was a James Beard Award-winning author, Sarah Owens was a gardener. Sarah spent six years as the curator of one of North America’s largest and loveliest rose gardens, the Cranford Rose Garden in Brooklyn. 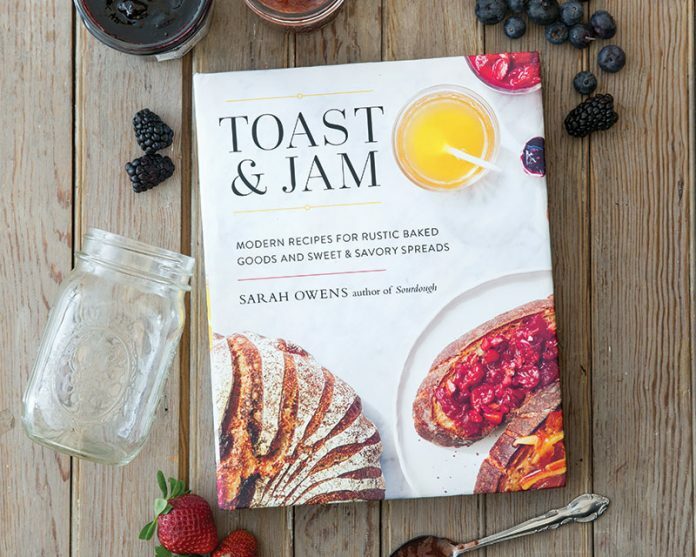 Now, with her latest cookbook, Toast & Jam: Modern Recipes for Rustic Baked Goods and Sweet and Savory Breads (Roost Books, 2017), Sarah brings the simple pleasures of botany and harvesting back into the kitchen. 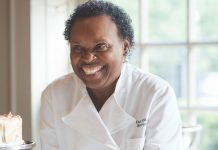 With recipes like Violet Petal Jam and Dandelion and Turmeric Jelly, Sarah hopes to inspire home bakers to preserve new elements of nature—everything from weeds to flowers to shrubs. First time preservers can rest easy. We talked to Sarah to get her tips and tricks to turn canning rookies into all-stars. Truly, the best way to know when and what fruits are in peak season for canning is to show your face regularly at your local farmers’ market and get to know your suppliers. Often you’ll find that the farmers and the produce sellers really appreciate your engagement. It creates this relationship where, if they know what you’re looking for, they’ll hold choice produce aside for you. If you get to know your provider, you’ll always have the ripest and best fruit for preserving. First, you’ll need a pot that will fit all of your jars, preferably a specialized canning pot for sterilizing and heat-processing your jars. This type of pot will have a rack that will keep your jars from direct contact with the heat. Then you’ll need a wide-mouthed, heavy-bottomed preserving pot, which you’ll do your actual cooking in. This extra surface area to cook and release steam will encourage evaporation and produce a thicker jelly or jam. These two pots are your main necessities. But you can also buy a canning kit that will have tongs, a funnel, and a magnetic tool that will help you fish your lids out of hot water. 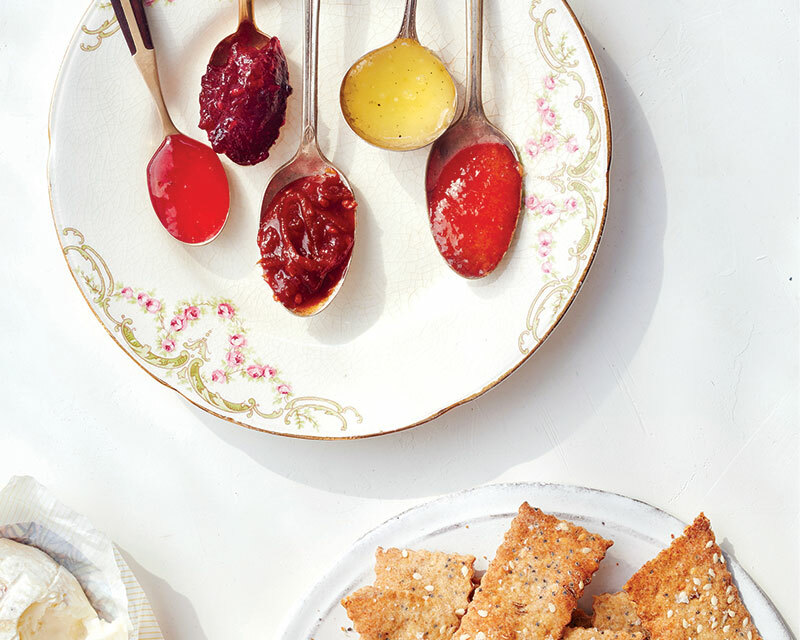 These aren’t necessities, but they’ll make preserving so much easier. The most important part of the set test is to remember to put a plate in the freezer before you start the whole process of making your jam or jelly. You need the plate to be really cold for the test to work. When you’re ready to test the jam’s thickness, transfer a dollop to the plate, and then return it to the freezer for a couple of minutes. After this brief cooling, push your finger through it. If the mixture runs back together, you’ll know that the jam needs more time to cook or an adjustment to the recipe. If your fingermark remains, then your jam has properly set. One thing to remember when canning is that the sugar content of fruit is a constantly changing variable. The amount of sugar, water, or pectin present in the fruit will vary depending on how rainy or dry a season was, or where the fruit was sourced. The sugar and pectin content will affect how the jam will set. So when canning, know that the amount of pectin or sugar required for a recipe may need to be adapted. A good way to avoid this issue is to make sure you’re using slightly underripe fruit because it contains more pectin than overripe fruit. To ensure that your jams last for many months, you need to learn how to heat-process. After filling and tightly sealing your sterilized jars, return them to their water bath (which you used to sterilize your jars), and make sure that at least an inch of water is covering their tops. Once your water reaches a roiling boil, process your cans for 10 minutes. 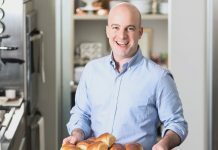 When I was growing up, my mother always told me to count the pops—the noise your cans make as they release the last of their air bubbles during heat-processing—but often times you can’t hear that popping sound. So I think the best test is to wait until the next day, when the jars have cooled, and press on the lid and feel if there is any sort of give. If it does, your cans haven’t been properly sealed, so you need to either stick it in the fridge or reprocess it.